First, my silicone sheet didn&apos;t fit in my Swiss tin roll and slowly flattened spilling cake batter on the floor of my oven. Secondly, the detailing stuck to the paper when I peeled it back. Third time round, the stencil slipped and I had an unappealing blue smear down my tin. 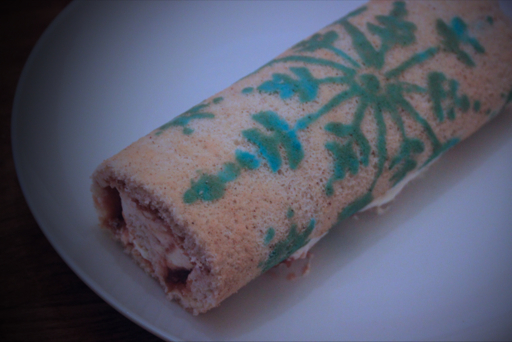 It made it more frustrating, that my Tiger Swiss Roll came out brilliantly first time. Fourth time is definitely a charm for this one! 3, Gently fold through the flour until well combined. 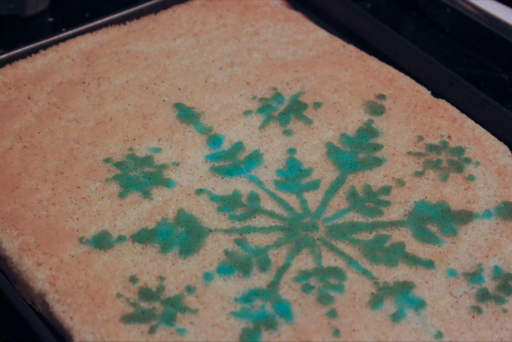 5, Place your stencil on the lined baking sheet and quickly spread a thin layer over it using a pastry brush. 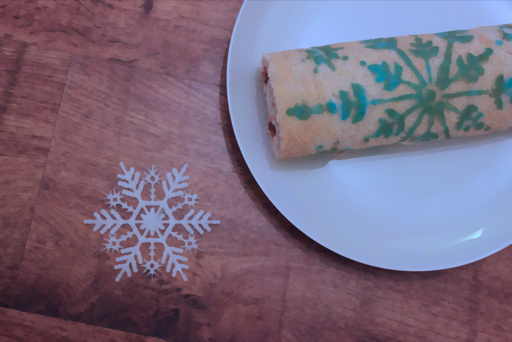 I used the snowflake stencil from the pack of these cake stencils. Try not to go over the same part twice or the batter will seep under the stencil. Peel off the stencil. 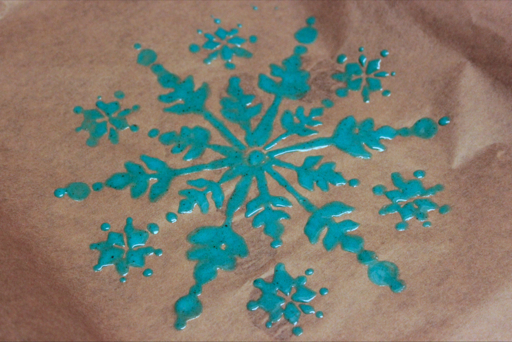 Alternatively you could pipe/paint the snowflake on if you don&apos;t have a stencil. 11, Slowly peel the paper back. It will still be quite warm. You might lose a little detailing, don&apos;t worry. 13, When you&apos;re ready to fill the roll, gently unroll, remove the middle piece did grease proof paper and spread the cream (and jam) inside. Re-roll and serve. 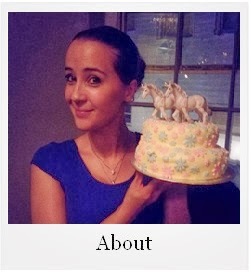 Hi Hannah, Wow - this is super clever! What a lovely idea. I am impressed indeed. Beautifully executed !